Perhaps the most compelling murder case of our day, the death of six-year-old JonBenet Ramsey galvanized the nation-and years after it occurred, the mystery still endures. Who killed the young beauty queen and why? Who is covering up for whom and who is simply lying? 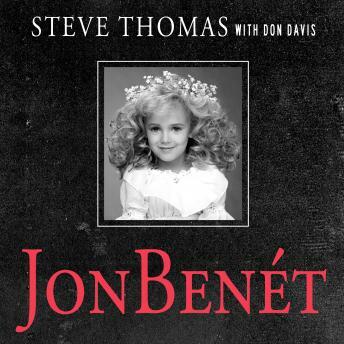 In JonBenet, the most authoritative and comprehensive study of the Ramsey murder, a former lead Boulder Police detective, Steve Thomas, explores the case in vivid and fascinating detail-pointing the way toward an analysis of the evidence some deem too shocking to consider. Here, Thomas raises these and many other provocative questions: How was the investigation botched from the beginning, and why did police so carelessly allow the crime scene to be tampered with? Why were John and Patsy Ramsey protected from early questioning and any lie-detector tests, even though their stories and behavior were erratic, suspicious and inconsistent? Why was crucial evidence ignored, why were certain key witnesses unquestioned by detectives, and why were the Ramseys privy to sensitive information about the case and even police reports?